Spoof news: Scientific Study II: "Poodles are Evil"
Scientific Study II: "Poodles are Evil"
Gonad, Washington - After much study and collaboration, historians and scientist alike, have come to the conclusion, that poodles are indeed, evil. (This is a fact that many of us have known all along.) Poodles, in their words, are the spawn of Satan or the "devils dog." "Through out history, the myths and legends of ancient people, speak to this fact. In the native West Africa "Hu-Thu-Pu" tribe, the word ‘pood' refers to "the evil one', or the one who does evil. These people were terrified of poodles and made special potions to ward them off," historians told us. They also report that the ancient Egyptians raised very large cats to protect them from man-eating poodles. The Egyptians worshipped cats for a good reason. The Sphinx was actually a giant cat, built to scare off roving packs of killer poodles. "Before these dogs were domesticated, they had very large fangs, much like the now extinct, saber tooth tiger. We also uncovered evidence that they bore small, devil like horns on their heads." 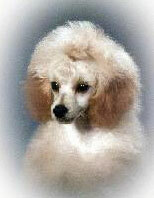 Scientists also discovered the origin of that traditional haircut many poodle dogs have donned over the years. "We believed the haircut was developed to try and cover up the horns, they once had. After breeding with other dogs and some members of the royal family, the horns disappeared. The shaggy-coated wolverine is a very close relative of today's poodle. Think of a wolverine, as a poodle with a bad haircut. Both are noted for their strength and cunning, and both are vicious flesh-eaters," they said. I was watching a re-run of "Law and Order" and there was a scene in the show, where a woman, walking her poodle, was whisked away in a taxicab, never to be seen again, alive. I felt an irrational, intense rage at just the sight of the dog. I was hoping that the body they found floating in New York harbor, the next morning, was not the missing woman, but the dog. I do this without any assemblage of guilt.